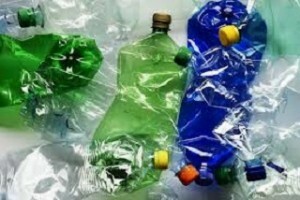 WASHINGTON: The California-based CarbonLITE Industries LLC has announced building of its second post-consumer PET recycling plant in the USA. The construction of the Abilene, Texas facility is scheduled to begin by year-end. The company expects to complete the construction works in less than a year and start production from the new facility in late 2014. The new Texas facility is expected to provide employment to around 100 people. The estimated intake capacity of the plant is around 1.6 billion used bottles per annum. The bottles will be processed to high-grade raw materials which in turn will be used to produce new bottles. CarbonLITE is believed to have already entered into supply agreement with Nestle Waters North America. The existing $58 million facility at Riverside County, California spreads over 220,00 square feet. The plant employs 130 people. The facility produces PET pellets which are then resold to different clients including Nestle Waters North America and PepsiCo who use them to make new bottles. CarbonLITE is one of the largest producers of food-grade Post-consumer Recycled PET in the world. The company has plans to open its third recycling facility in the East Coast region of the country.